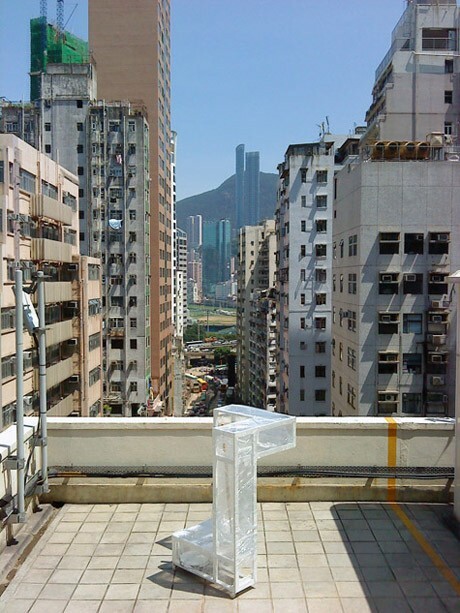 CCTV is a series of sculptures, based on the OMA building of the Chinese Central Television Headquarters in Beijing. 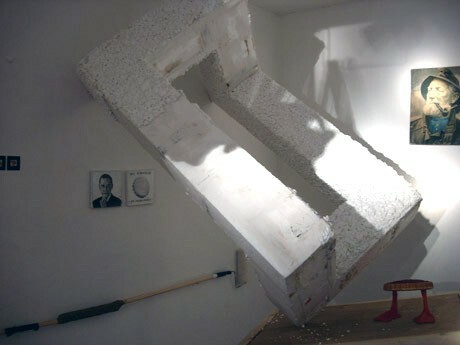 Deliberately abstracting the form and changing its function, it serves as a contemporary shrine to worship the new Chinese Post-Capitalistic religion. Mixing traditional Chinese religious elements (incense) with Postmodern realism, the CCTV-series is a celebration of both the good and the bad of what China currently represents. “[…] Now with the fireworks of the Olympics and the Shanghai World Expo, kicking the China PR machine into full gear, the mainland has been grabbing all the headlines. Massive government money has gone into organizing mass games type spectacles and a great Potemkin-ization of the urban landscape, involving tons of cement and thousands of gallons of paint. These spectacles are engineered to create a blinding flash of light designed to leave our eyes stinging with the after effect, so blurry that we fail to see the endemic problems of corruption and control. Though Hong Kong may not be the infrastructural monolith, it nonetheless possesses something more important: more democratic forms of political representation, a less restricted press and a vibrant activist community. Still as Hong Kong is struggling to define itself and as business interests weave a sticky web across to the Mainland, it is becoming more difficult for Hong Kongers to maintain such institutions of freedom of speech and plurality. 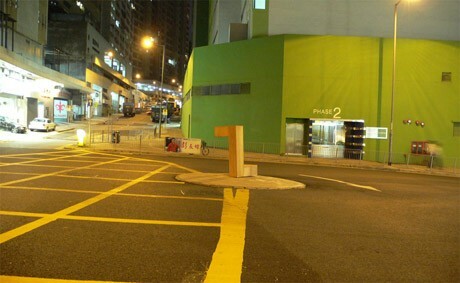 The CCTV-sculpture as the first public installation in Fo Tan / Hong Kong. Third and last edition of CCTV for Dubble Happiness, the story of two siamese cities exhibition. 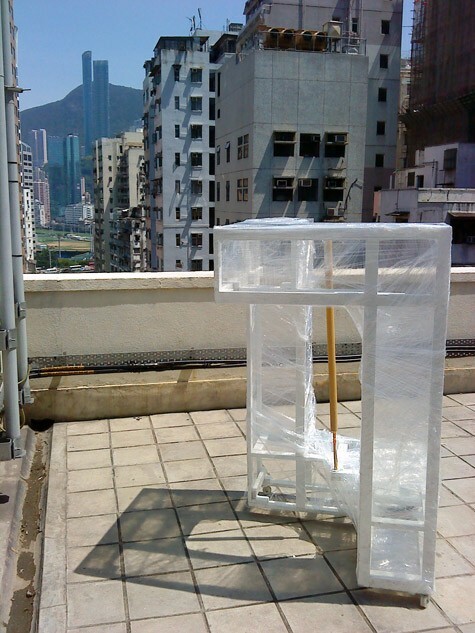 Installed on the roof of Foo Tak building, Wanchai, Hong Kong, blending in with the surrounding architecture. One Response to "CCTV by Jon Leung"